We abstained from trading on Thursday and Friday due to expected volatility and unpredictable moves. You would have seen that the markets behaved very confusingly triggering stop losses. 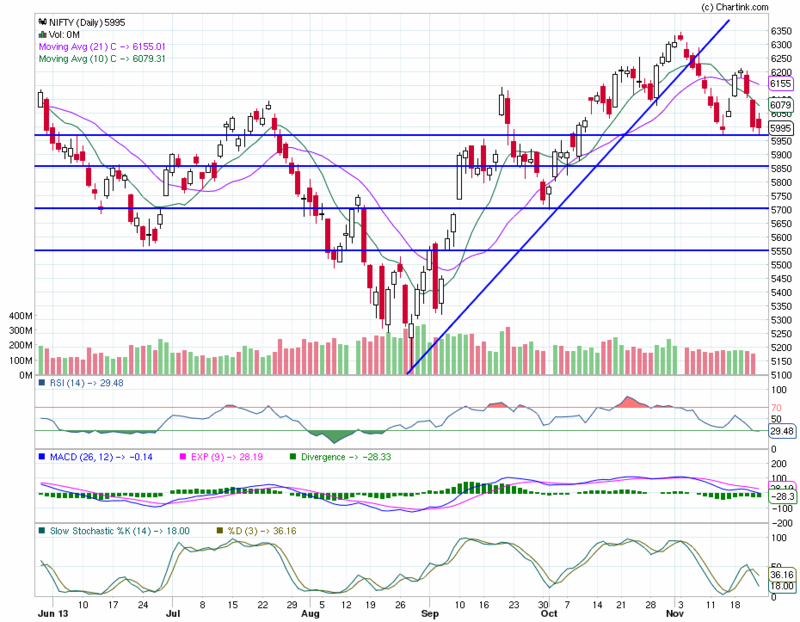 It is now clear that the uptrend seen up to Diwali may not be sustained and soon we will see 5900-5880-5850 levels. 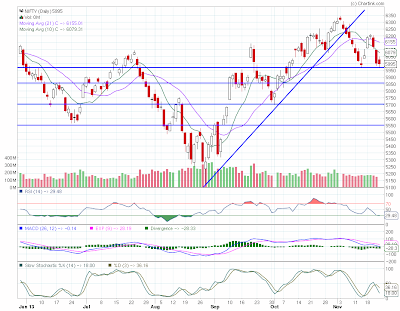 Below this , the market could slip to 5700 and 5600. Those who are holding Swing calls, please exit if on profit, else strictly exit on stop loss level. We are not initiating the promised mid cap portfolio for long term investors, will wait till 5800 and see if that level holds, be patient till then. Meanwhile, please hold on to the blue chip portfolio under Long Term Investment. Be careful in longs since most of the traders will be adopting sell on rise strategy.